Leasing rights give the music artist a certain amount of uses per lease. Once it runs out, the customer would need to buy another lease for the same beat. You can give out as many units as you can, it's really all up to you. Another thing about leasing is that the producer can sell the beat to multiple artists, as long as nobody buys the exclusive rights to it. This can be very good for the producer because he won't have to take the beat off sale and make more money off of it. It is a cheaper price for the artist, because this is meant for mix tapes and promos. Usually, you wouldn't want to lease a beat for albums; it would make much more sense to buy the exclusive rights because you don't want to hear another rapper have your beat in their album, too. The producer usually would give out an MP3 version of it,with a lesser quality sound than the exclusive. This is because they don't want to give out the best quality sound, unless it was an exclusive. They deserve the better sounding material. This gives the music artist sole ownership of the beat, and unlimited use of it as well. The producer cannot sell this to anybody else and must take it down from sale. An exclusive beat will be more expensive in price because the artist gets full ownership, and can do whatever he pleases to the instrumental. I hope you now know the differences between the two kinds of licenses, but let me know if you have any questions. 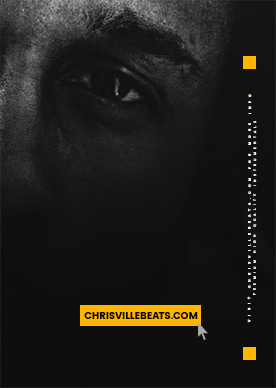 I have my own website here at: chrisvillebeats.com If you need some hot beats, come and get it at my website, and you will thank me later that you did. Come to me if you ever need that hit single, because I know that it will get you to the top, so drop by.